Thanks for clicking on our ad! 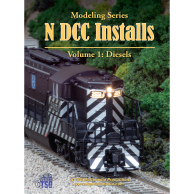 N DCC Installs Volume 1 is a how-to video about installing Digital Command Control (DCC) decoders into N scale diesels. This program is available in both DVD and digital download format! Click either product icon for detailed information.